Ever since I purchased my 1913 20 Franc French Rooster last year, I’ve been wondering why the French government would have made a coin that so prominently featured this bird. My curiosity was peaked further when I saw the older Winged Freedom design and saw that it also had a rooster on it, although, in that case, the rooster was much smaller and was not a dominant design feature. As it turns out, the answer is pretty easy to find online, but It’s just taken me a year to invest the effort into reading about it. The Gallic Rooster is a national emblem of France and, today, is regarded as representing the people of France. This has its roots in a play on words that dates back to ancient Rome. Suetonius, in The Twelve Caesars, noticed that, in Latin, rooster (gallus) and Gauls (Gallus) were homonyms. However, the Gauls at the time did not associate themselves with a rooster. The association seems to have developed more fully in the middle ages, sometimes because enemies of the French wanted to make fun of them by associating them with a not-terribly-frightening bird. The association between the rooster and the French was further developed by the kings of France because the Rooster is also a strong Christian symbol. According to the bible, prior to being arrested, Jesus predicted that Peter would deny him three times before the rooster crowed on the following morning. At the rooster's crowing, Peter remembered Jesus' words. Its crowing at the dawning of each new morning made it a symbol of the daily victory of light over darkness and the triumph of good over evil. 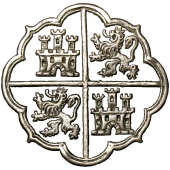 It is also an emblem of the Christian attitude of watchfulness and readiness for the sudden return of Christ, the resurrection of the dead, and the final judgment of humankind. That is why, during the Renaissance, the rooster became a symbol of France as a Catholic state and became a popular Christian image on weather vanes, also known as weathercocks. Roosters also appeared at the tops of watch towers and sentry posts around this time as a general symbol of vigilance and watchfulness. It’s not clear to me whether the association with watchfulness and vigilance or the association with Christianity came first. The popularity of the Gallic rooster as a national personification faded over time but had a resurgence during the French Revolution (1789). While it was a minor emblem at the time these landmarks were built, the Gallic Rooster is found at both the Louvre and Versailles. The French Revolution completely re-wrote the traditional perception of the origins of France. Until then, the royals dated the origins of France back to the baptism of Clovis I in 496, the "first Christian king of France". The rejected this royalist and Christian origin of the country and traced the origins of France back to the ancient Gaul. Although purely apocryphal, it was at this point the rooster became the personification of the early Gauls. The rooster was an important revolutionary symbol and it became an official emblem under the July Monarchy and the Second Republic, when it was seen on the pole of regiments’ flags. In 1830, the Gallic Rooster replaced the fleur-de-lis as the national emblem for a time, but it was later discarded again by Napoleon III - He didn’t like the rooster because, unlike the eagle, which he temporarily replaced it with, the rooster is not a “powerful” bird - thus, why enemies continued to use it to make fun of the French. 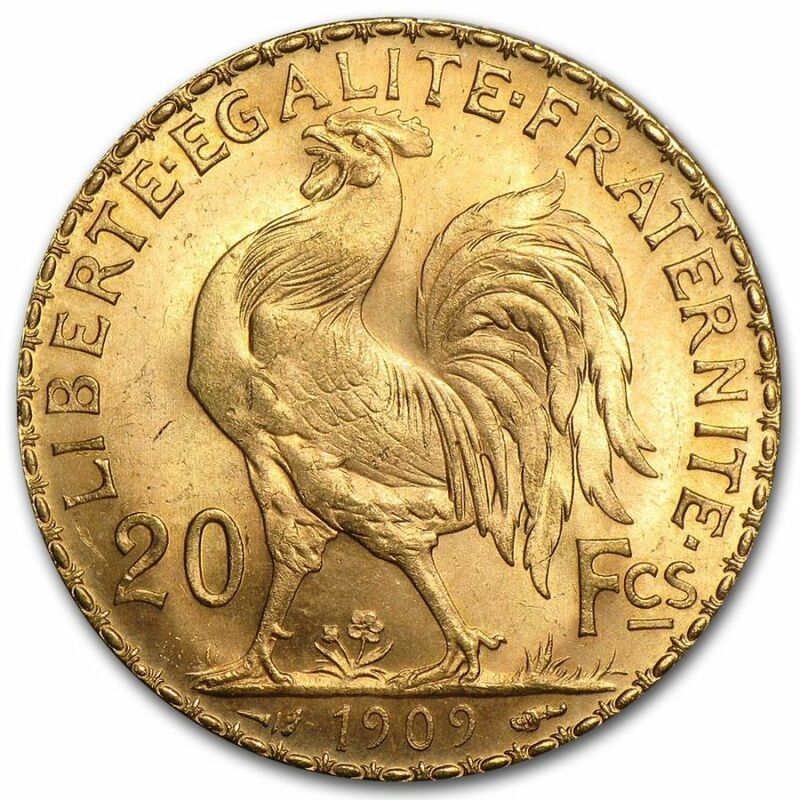 The Gallic rooster, sometimes named or referred to as “Chanteclair,” has been a national emblem off and on ever since, especially during the Third Republic (which ran from 1870 to 1940), when these coins were produced. So, all of this has some very interesting implications for what I wrote in my earlier post about the 20 Franc design with the Winged Figure. Having learned all this, I couldn’t blame someone familiar with the Catholic kings of France and the Rooster’s symbolism in Christianity for seeing the winged figure as an angel and seeing the rooster, if anything, as a confirmation of the coin’s / image’s Christian intent. 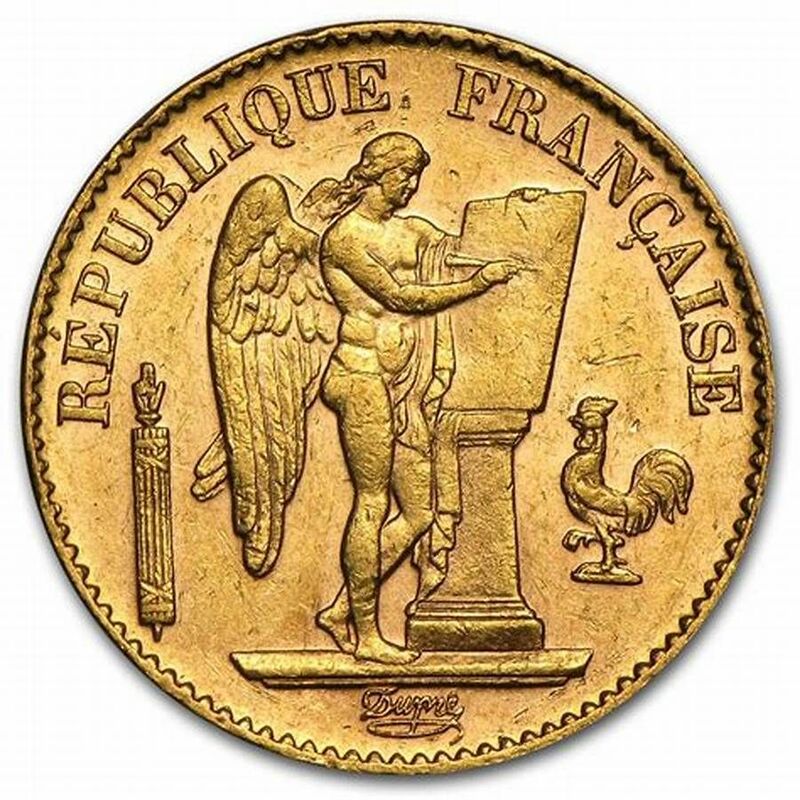 However, when the coin is viewed properly, in the context of the time period in which the design was produced (1790s) and later revived (1870s), the Rooster is symbol of the people of France and the government, not of Christianity, and the Winged Figure is an allegorical depiction of liberty, not an angel. Given everything I’ve learned from reading about this, I feel like this coin could be a case study in and of itself in bad communication and confused symbolism. It easily lends itself to and seemingly confirms an interpretation of the image / artwork that runs very counter to the artists’ original intent, in part because the creators were very proactively trying to redefine the meanings of those symbols and re-write the history of the nation at the time. Thanks for the informative post! I'm a fan of secular imagery, myself. I am too, but this thing makes it interesting in that how you see it / what you understand it to mean is going to vary heavily on your background and how much of the history you know.